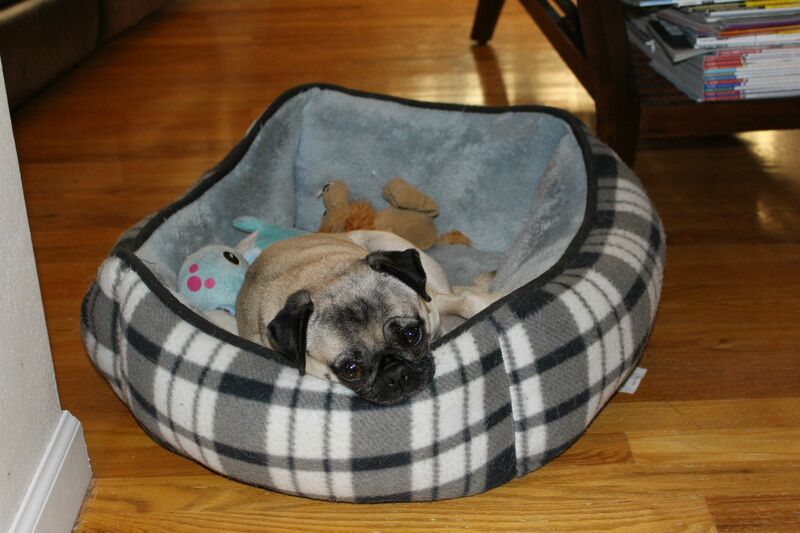 Pugs love to be warm and snuggly on a cold Saturday morning, and our pug Nickie is no exception. 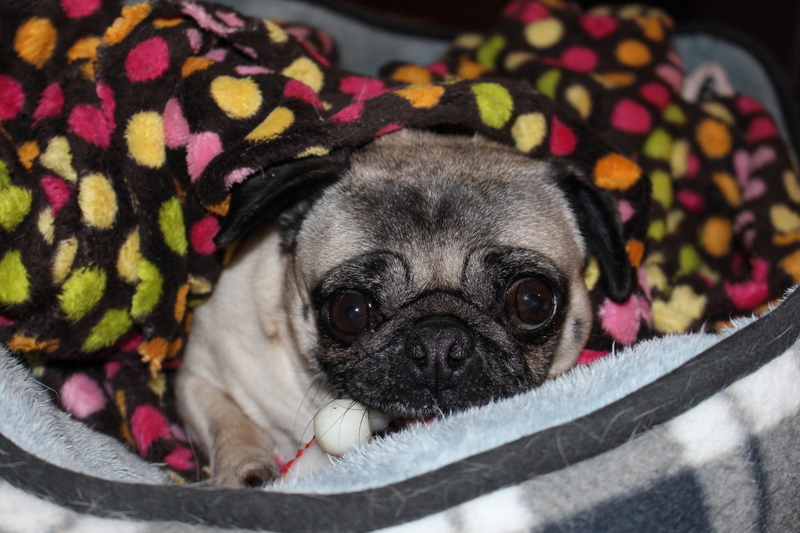 She’s all cuddled up in a cozy blanket to spend the morning chewing on her favorite bone. 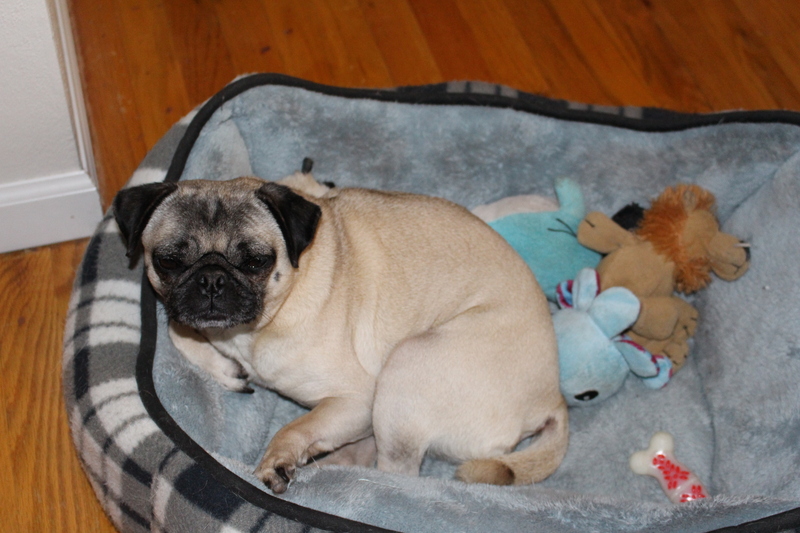 We imagine most pugs do a little bit of moping when it’s time to say goodbye in the morning, but Nickie is being particularly sad today. 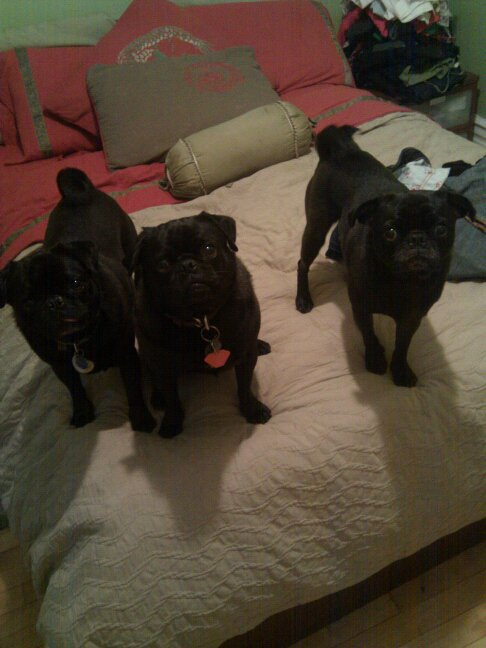 Trust us pug, we understand that it would be much more fun to stay at home and play with you, but the cubicles are calling. 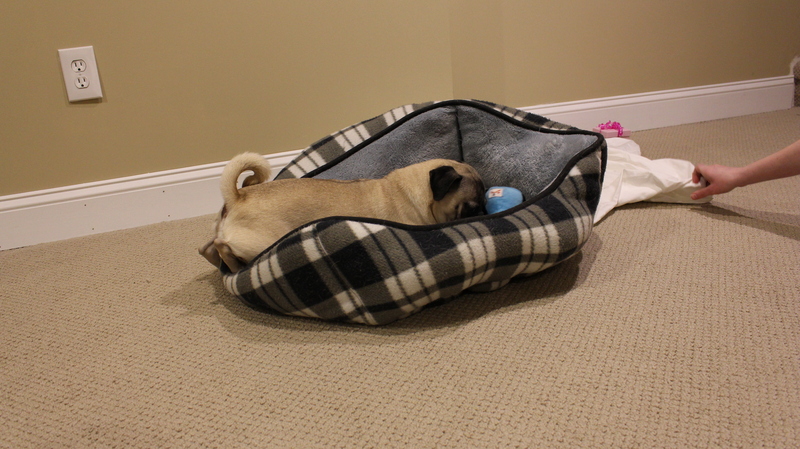 We looked over a moment ago and saw Nickie sprawled out in her bed like this. 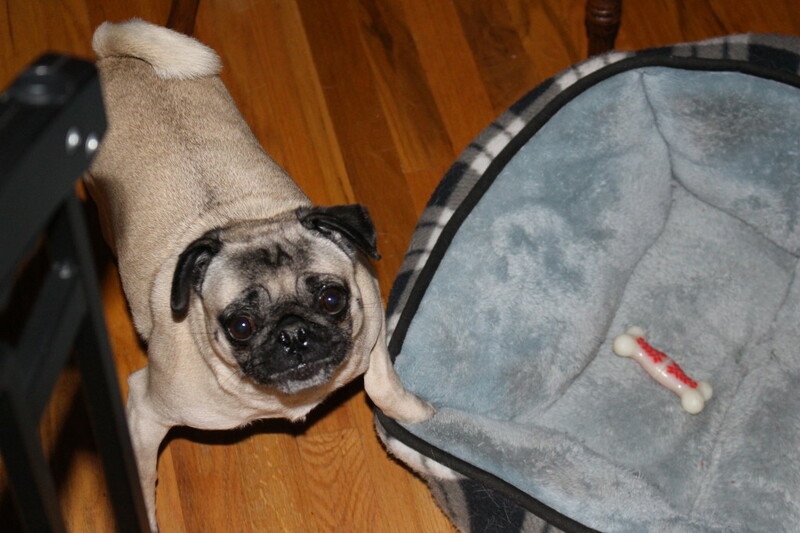 Perhaps we should take this as a not-so-subtle hint that she would like a bigger bed to play in.